Mission Houlgate 2015 was held during August in the seaside town of Houlgate in Normandy, France. This incorporated the eighth annual Expo-Bible (Bible Exhibition) at Houlgate, and a beach mission with a team from Missions Vacances. Read the report on Mission Houlgate 2015, the combined Expo-Bible and Beach Misison, which took place in the town of Houlgate during August 2015. Visit our Mission Houlgate 2015 Information page to find out more about Mission Houlgate 2015. 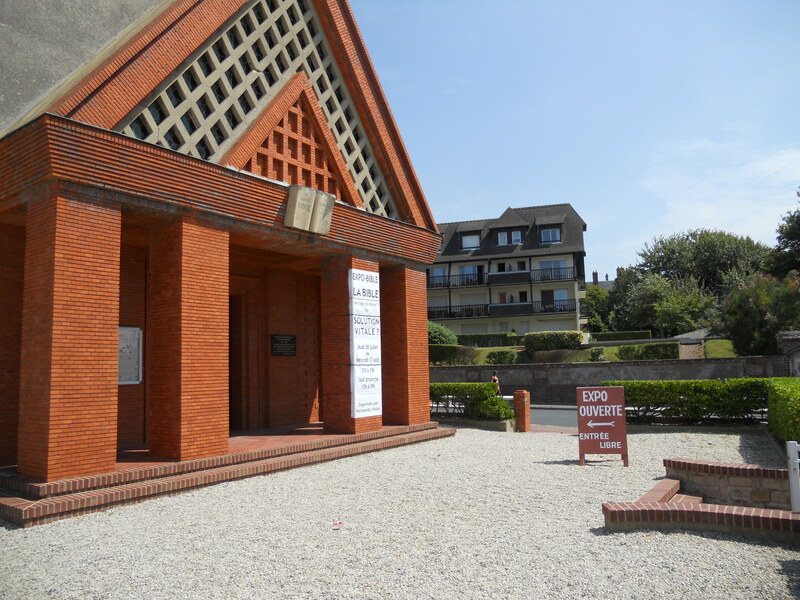 The April 1st 2015 News Update Newsletter is available online giving information about Mission Houlgate 2015, incorporating the eighth annual Expo-Bible (Bible Exhibition) at Houlgate, and a beach mission with a team from Missions Vacances. The seventh annual Bible Exhibition will be taking place this summer in the seaside town of Houlgate in Normandy, France. Visit our Expo-2014 Information page to find out more about this summer's Expo. Normandy Vision needs volunteers to come and join the team in 2014. If you are interested in helping out, visit our Expo 2014 Information page to find out more about what is involved. 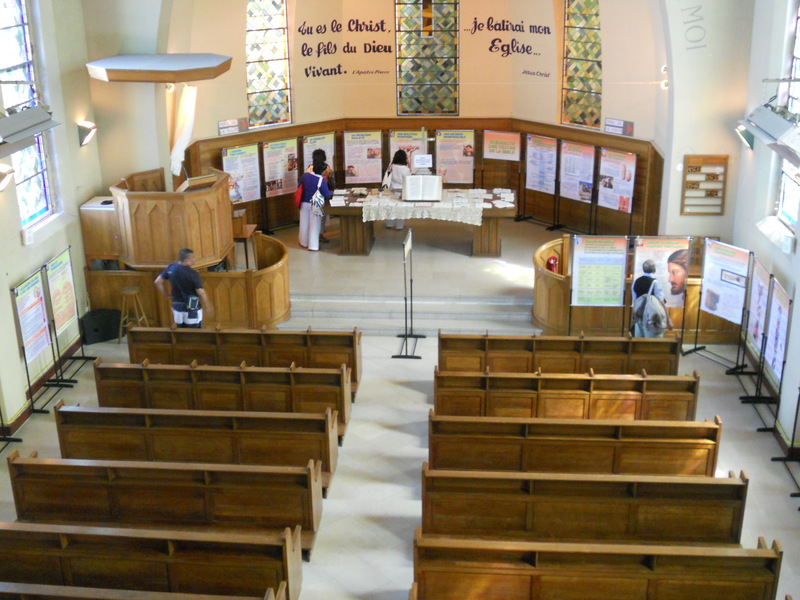 Find out more about the Expo-Bibles (Bible Exhibitions) that have been held annually in Houlgate for a number of years. The April 30th 2014 News Update newsletter is available online giving an update on this summer's Expo-Bible in Houlgate. France Mission have published a short article about the Expo-Bible in Houlgate and the need for helpers for this summer's exhibition. Read the report on this summer's expo in Houlgate, written the article in France Mission's Spring 2014 Newsletter. It is available on their website as a PDF file. It is on page 13 of the booklet, which is on page 7 of the PDF file. 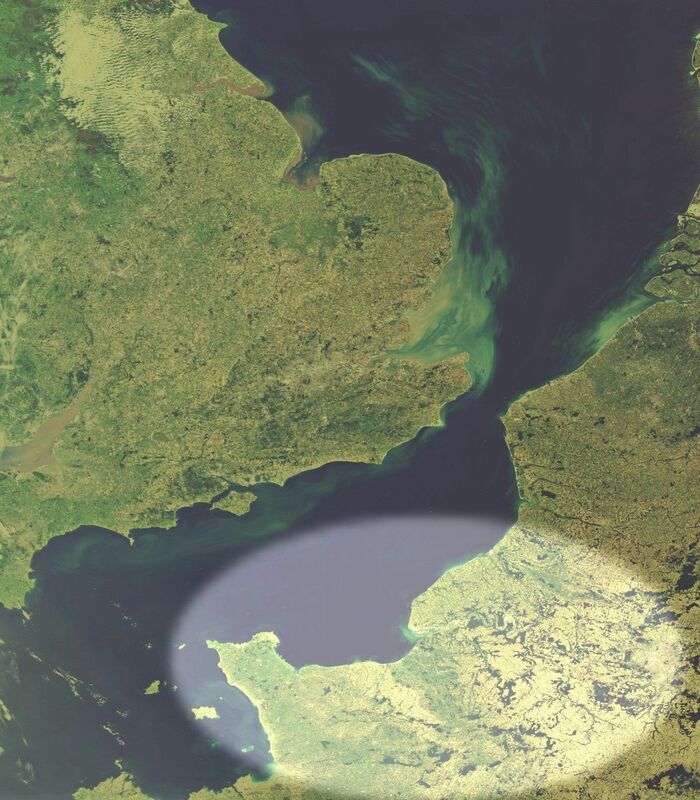 France Mission, an independent UK charity, is not connected to Normandy Vision except in our shared aim of taking the gospel to the people of France. Links to France Mission's website will open in a new browser window. The sixth annual Bible Exhibition took place in Houlgate, Normandy from Wednesday, August 7th through to Wednesday, August 21st 2013. Read the report on this summer's expo in Houlgate, written by team member Alan Hill, to discover some of this year's highlights and learn something about the people we met, that we encouraged to read the Bible, who we shared the gospel with, and people who have returned again this summer with a testimony of how the Lord has changed them. The 2012 Expo-Bible (Bible Exhibition) in the seaside town of Houlgate in Normandy was open to the public from Wednesday, August 7th through to Wednesday, August 22nd. A summary of Expo-Bible Houlgate 2012 can be read in the Expo 2012 Report. The 2011 Expo-Bible (Bible Exhibition) in the seaside town of Houlgate in Normandy was open to the public from Thurday, July 28th through to Wednesday, August 17th. A summary of Expo-Bible Houlgate 2011 can be read in the August 24th 2011 Newsletter. Watch a video overview of the 2011 Expo-Bible (Bible Exhibition) at Houlgate Evangelical Church in Normandy held during the summer of 2011.